Home Uncategories Gilas Pilipinas finally wins at FIBA World Cup 2014, Philippines' first in 40 years! 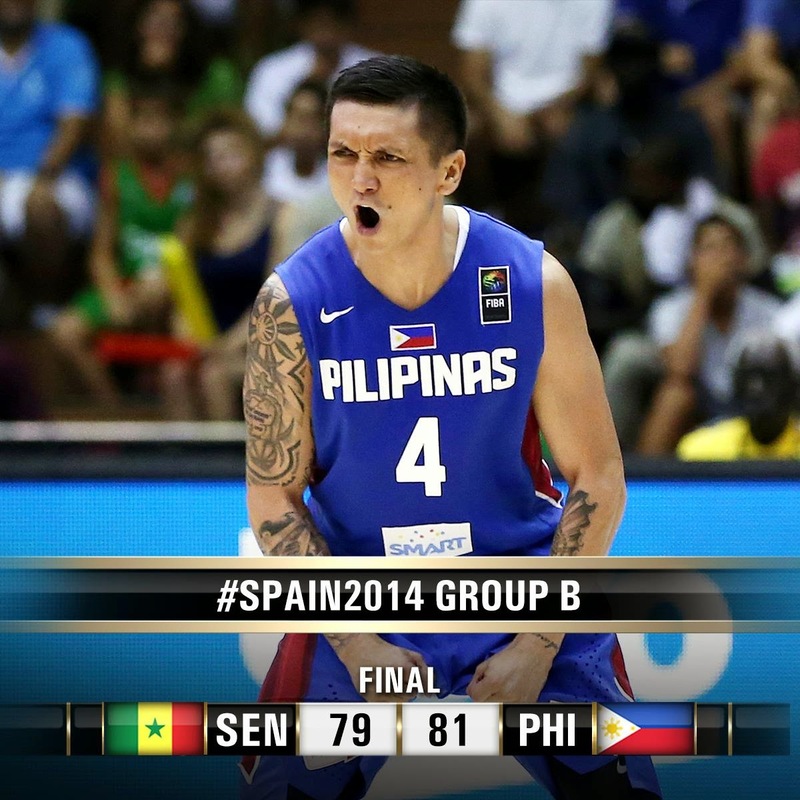 Gilas Pilipinas finally wins at FIBA World Cup 2014, Philippines' first in 40 years! Gilas Pilipinas vs Senegal Live FIBA World Cup 2014 Results: Game has just ended between the Philippines' Gilas Pilipinas and Senegal. Scores tied at 64 after the 4th quarter, forcing an overtime: Senegal 79-81 Philippines OT. GILAS WON!!! Gilas Pilipinas was indeed very determined to win its last game in the FIBA World Cup 2014 even if they're no longer qualified for the Round of 16. Of course, they want to come home at least with a victory, than being one of the biggest losers of the tournament. For Senegal, winning or losing the game no longer mattered as they're already assured with a slot in the next round, even if Puerto Rico wins vs Croatia later. But still, they didn't give the Filipino team an easy win even at the last second. Though Andray Blatche once again made a double double (18 pts, 14 rebs), it was June Mar Fajardo who fared better in efficiency, the top performer for Gilas with 15 pts, 9 rebs, 2 assts and 2 stls.